Home / Chris Brown and Rihanna: Is it Anyone’s Business? Ain’t no business but mine and my baby! Perhaps one of the most popular Michael Jackson lyrics, the words are being revisited for more reasons than one. In the aftermath of the 2013 Grammy Awards, arguably the biggest story of the night is the first major reuniting of America’s most controversial couple in entertainment. 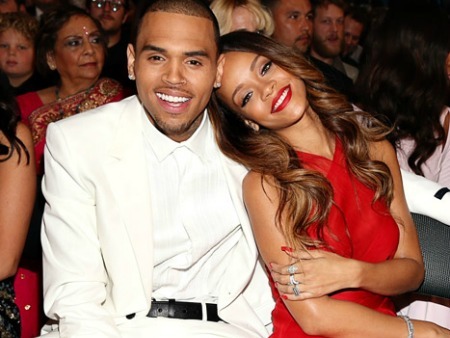 Ever since the incident that rocked the 2009 show, everyone has had something to say about Chris Brown and Rihanna getting back together. Most of those sharing their opinions aren’t exactly in favor of rekindling the romance. The public initially expressed outraged after its discovery that just days after infamous attack, Rih had returned to her lover’s side. Celebrities came down on Chris’ head just as hard as others. Everyone from Oprah to Jay Z, voiced their opinions on the matter and expressed disapproval of the couple’s reunion. Four years later, who is ‘okay’ with ChRihanna coming back together? The media draw the lovebirds received during Grammy weekend has returned this question to the forefront of people’s mind. It’s a strong statement following a series of tongue-in-cheek moments that caused us to contemplate ‘are they or aren’t they?’ This weekend, the couple made it known to everyone on a grand stage that they are in fact, a couple. At the end of the day, the decision to revisit their romance is a choice between the two of them. It won’t make a difference whether Jay Z and Beyonce sit on the other side of the Staples Center, or John and Jane Doe snarl at the television dismay from their home. As Rihanna put it best during her February 2013 interview with Rolling Stone magazine, ‘it’s my mistake’ to make. Let’s just hope that their love isn’t a mistake. We as outsiders have no say-so in their personal affairs. The one thing we can do, and a piece of power we tend to take for granted, is simply cheer in their best interest. I don’t know about you, but I certainly will. After all, what’s the use in rooting for a relationship to fail? Time will reveal whether it works, and that is not up for us as spectators to decide.